A TD who issued a press release at the centre of the Senator Paudie Coffey defamation action told the High Court it was "outrageous" to suggest he wrote the article, and not a journalist. Carlow-Kilkenny TD John Paul Phelan, who is a junior environment minister, also denied he felt betrayed by Mr Coffey's announcement there was to be a boundary commission review to look at moving part of Kilkenny into the Waterford administrative area. He was giving evidence on the eighth day of Mr Coffey's action against Iconic Newspapers, publishers of the 'Kilkenny People', over the January 2016 article. Headlined 'Coffey the Robber', it carried quotes from a press release issued by Mr Phelan, who is Mr Coffey's FG colleague, saying then junior minister Coffey was "banding together" with then environment minister Alan Kelly to commit "daylight robbery". He then went on to say there was an 18th-century highwayman in Waterford called "Crotty the Robber", and now "Coffey the Robber was trying to do the very same". Mr Coffey says it meant he was guilty of misuse of public office and a thief of severe ill repute. The defendant denies the claims. 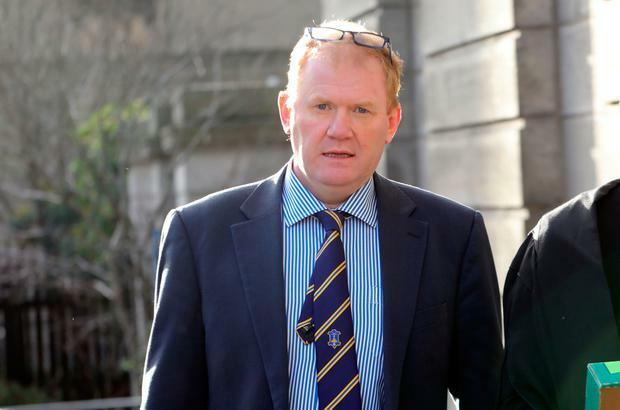 Mr Phelan told Rossa Fanning SC, for the newspaper publishers, he was shocked when he learned from a tweet that Mr Coffey, in 2015, announced there was to be a boundary review. People in Kilkenny were "up in arms" about it as they had been in a previous proposal in 2005 to move part of Kilkenny into Waterford, and it was very much associated with identity, he said. Cross-examined by Barney Quirke SC, for Mr Coffey, he agreed he was angry over the boundary review move. He disagreed he was hurt and angry that he had not been told about it beforehand by his colleague, but was surprised it had not been discussed politically before the announcement. He disagreed with counsel's suggestion he felt "betrayed and bitter" by the boundary issue. He described as "outrageous" a suggestion by counsel that it was him and not a 'Kilkenny People' journalist who wrote the article. "What you are saying is patently false," he said. He said he sent press releases to the paper, but he had never written an article in his life. Asked did he think the 'Kilkenny People's' general coverage of the boundary issue was balanced, he said he did not think so. Asked was it fair, he said that if you were a ratepayer in Kilkenny and €110m of your budget was to be removed by a boundary change, that would mean an increase in rates for those people and that got them agitated, along with the identity issue. The case resumes on Tuesday. Shane Phelan The jury in the Tipperary “love rival” trial has resumed its deliberations after receiving a clarification from the trial judge.